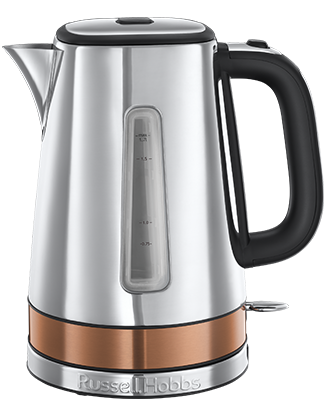 Enjoy a magical moment every morning with the awe-inspiring Luna Copper Coloured Long Slot 2 Slice Toaster. Combining a shimmering stainless steel with a strikingly bold copper, this toaster captures the powerful and rare experience of a lunar eclipse on your kitchen worktop. 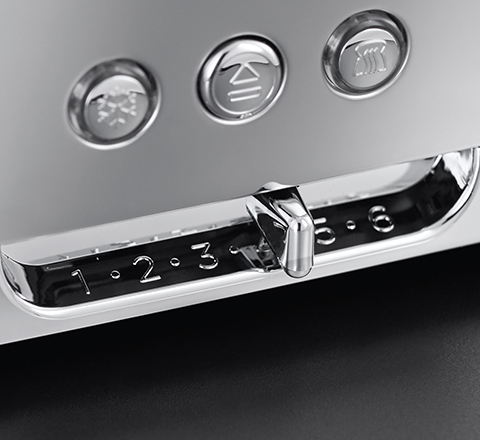 With 2 extra-long slots, this toaster is as unique in appearance as it is in performance. Designed with variety in mind you can toast a range of breads from the soft squashy slices your little ones love to that crunchy tiger bread that you enjoy. Whether you like your toast light and crispy or golden and crunchy, the Luna Copper Long Slot Toaster makes every breakfast an out of this world experience that leaves you feeling inspired and your toast cravings satisfied. Everyone struggles to resist a little sneak peek at how their toast is getting on and with the lift and look feature we’ve made it even easier. 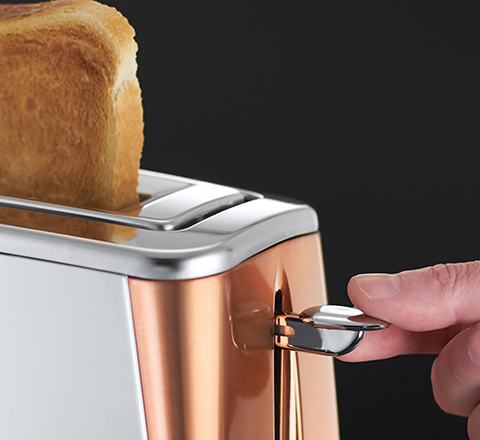 The Luna Copper Toaster’s lift and look feature lets you keep an eye on your toast without having to even cancel the cycle, simply lift the toast upwards, check up on how tanned its looking, then push it back down to carry on the toasting cycle. And if that wasn’t enough, it even makes it easier to remove your toast when it’s done, so you can avoid toasting your fingertips. With an adjustable browning control however tanned you like your toast is completely up to you. Whether you’re fancying that light and golden crispy toast you need after a heavy night or the bronzed crunchier slice that helps to kick start your day, the Luna Copper Toaster lets you choose the texture and tan of your toast.